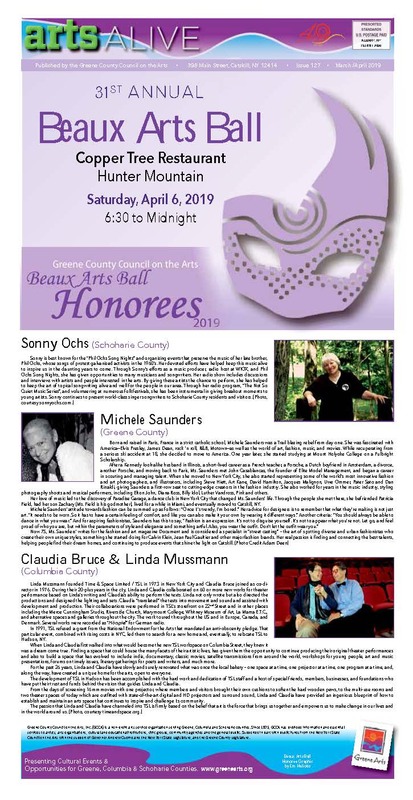 On behalf of David Slutzky and Deena Lebow, Beaux Arts Ball Co-Chairs; Bill Deane, Board President and the entire Board of Directors of the Greene County Council on the Arts (GCCA), we hope you will join us for the 31st Annual Beaux Arts Ball to be held at Hunter Mountain on Saturday, April 6, 2019. The Beaux Arts Ball is GCCA’s primary fundraising event and has been billed “THE party of the year!” To mark the Beaux Arts Ball’s 31st Anniversary and to draw attention to the importance of the arts in each of the counties served by GCCA, we will honor recipients of the well-respected Distinguished Service Award: Claudia Bruce & Linda Mussmann, Time & Space Limited, Columbia County; Sonny Ochs, Not So Quiet Music Series, Schoharie County; and Michele Saunders, Creative Catalyst/Realtor, Greene County. GCCA is delighted to honor these four outstanding individuals who are contributing to the creative landscape and economy of the region. The Gala evening begins with a 6:30pm social hour of cocktails, a unique silent auction collection, live entertainment, dinner, and awards presentation culminating with dancing until midnight to the music of Nite-Time Band at this prestigious Hunter Mountain venue. 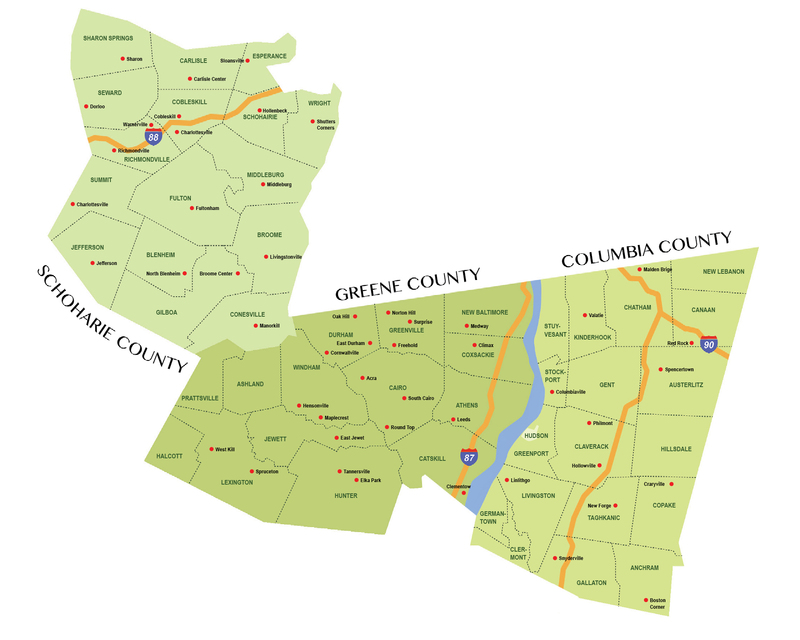 The Beaux Arts Ball is an exciting event that brings together 300 people to celebrate the arts and to raise a goal of $50,000 to support the work of GCCA in Greene, Columbia and Schoharie Counties. Thank you for your support. Looking forward to seeing you on April 6th.